What a nice kid! I can say that since I'm twice as old as he is. I'm talking about Scottie McCreery. Scotty is a freshman at North Carolina State University, but you probably know him as the winner of season 10 of the American Idol. He has also recorded the platinum album "Clear As Day," featuring the hit songs "I Love You This Big," and "The Trouble With Girls." And today when I encountered him, he was just a young man traveling with his family to watch the Wolfpack play football this weekend. I was doing a story on gas prices, and for the story I went to the rest area off I-85 in Concord. My idea was to interview drivers and ask them where they had last filled up and how much they paid per gallon. Drivers from Virginia said they paid around $3.60, those from eastern North Carolina were up to $3.75 or so. I had talked to about a dozen drivers and passengers from all over the place and I was just about ready to leave. Then I saw a car with two NC State flags pull in a the lower end of the driveway. I decided to run and talk to one more driver. I saw a very tall man and his wife starting to get out of the car, and I noticed what appeared to be a young man and a young girl in the back. Both were busy on their phones. The man had a somewhat puzzled look as I approached, but when I told him who I was and what I was doing, he started smiling, and agreed to a short interview. I asked him about gas prices. He told me he and his family were on the way to Atlanta for the game, and that it had cost him about $50 to fill up his rented Toyota. When I was finished we made a little friendly small talk and I wished them safe travel. But then the man's wife said something unusual. "You don't know who we are, do you?" I looked at them both, glanced in the car, and innocently asked if they were from my hometown of Salisbury. They laughed and said no. Then she said "We're the McCreery's." I tried to think of everyone I know named McCreery, and I couldn't come up with a single one. "Scotty, Scotty McCreery." "Oh yeah!" I blurted. Now it all made sense. Scotty was still on the phone, actually doing a live radio interview. I talked with his mom for a while about a number of things, including their trip, their church life in Garner, NC, and all the upcoming concerts and appearances. I also asked her if she thought he would mind popping out of the car for a quick interview. She thought it would be fun, and as soon as he finished the radio interview, Scotty jumped out of the backseat and stuck out his hand to say hello. He was wearing a red, NC State visor, and had a large cross on a chain around his neck. We talked for just a few minutes; I knew his family wanted to get going. Scotty was unfailingly polite and genial. "Yeah, you just kind of walked up and I was in the car," MCCreery. 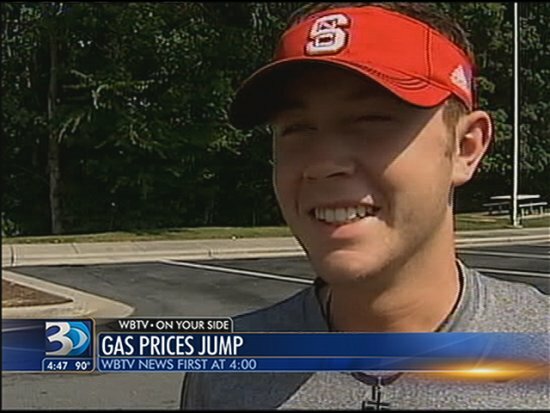 He said he was excited about going to the game with his family, and wasn't too concerned about the gas prices. "Yeah this is a family trip so I'm not having to fork out the money for the road trip for the gas. It'll be good, it's worth it." And with that I thanked him, he climbed back in the car and the McCreery's wee on their way. For me it was a chance encounter, but one that left a good impression of a very nice and talented young man. Best of luck to you Scotty! "Stay in school!" Kids may roll their eyes at that oft-heard phrase, as they argue with their parents that some of the wealthiest celebrities on the planet dropped out of school to start their careers early. But in the notoriously volatile entertainment business, no one can argue with having an education to fall back on. As summer comes to a close and school doors open, The Boot pays tribute to the country stars who took their reading, writing and arithmetic seriously. Scotty did not let "American Idol" curb his education. A high school junior during his winning run on the show, the North Carolina native kept his grades up -- and his spot on the varsity baseball team. A few months in to his skyrocketing country career, he graduated from Garner Magnet High School (a mere hours after winning a CMT Award!). Just a few days after his debut album, Clear as Day, was certified platinum, Scotty was accepted to North Carolina State University. "At 18 years old, I have a lot of learning to do and I don't know if I'm ready to make the move from home yet," he tells The Boot of his decision to stay in his home state for college. "Give me a couple more years and I'll be more mature and I'll know more about the business." Click on the link below to see the complete article & pictures. I just wanted to post something this morning so everyone knows again where this site stands on posting personal things about Scotty and his family. It has come to my attention this morning that some personal information of Scotty's is "floating" around on tumbler and was at one time on twitter. If you have seen this information or know anything about it PLEASE DO NOT POST IT IN THE COMMENTS or anywhere on this site as it will be deleted. We will, as always, continue to respect Scotty and his family's privacy. If Scotty didn't give permission or did not post his "personal" information himself, on tumbler or twitter, then it will not be posted on this site!!! On a more upbeat note - McCreerian's are trying to get I Love You This Big to Platinum by October for Scotty's birthday - if you can help out that'd be great, if you can't, everyone understands. Thanks again for supporting Scotty and visiting our site! McCreerian's Rock! Give songs, apps, and more. You can send anyone specific songs, custom playlists, movies, TV shows, apps, games, and books. Just find what you want to give on the iTunes Store, App Store, iBookstore, or Mac App Store and click or tap the “Gift This” link. We’ll send an email letting your recipient know about the gift. With one click, your gift starts downloading to your recipient’s device. Or if you would rather deliver your gift personally, you can print a certificate directly from iTunes. Tougher than I thought finding a country star who wants to go cage diving with Great White Sharks. I'm only posting one of the GIF's because they may hurt some people's eyes to see all of them moving when they look at the post (mainly me lol) But here's the link for you to go see the rest of them. The Season 10 ‘American Idol’ winner is as charismatic as he is talented. These 10 Scotty McCreery GIFs show the singer’s serious side, but mostly focus on lighter moments from the his run on the reality singing competition in 2011. By the time you see all of the fast-paced, laugh-out-loud GIFs, you’ll be rolling on the floor. McCreery quickly amassed a fanbase larger than most country newcomers when he auditioned — and then won — Season 10 of ‘American Idol’ in 2011. Passion for the Garner, N.C.-born country singer has not waned since the show ended. The ‘I Love You This Big’ hitmaker has watched his debut album go platinum for one million albums sold, while also notching two gold singles. Fans have honored him along the way by creating frozen-in-time GIFs of the singer from the reality show. Click on the link below to hear the interview-them click below his picture. I tried to listen to this & it cut out half-way through - hopefully it works for everyone else or they put a new link up. 94.7 QDR welcomes Scotty McCreery to the NC State Fair for two nights at Dorton Arena! Win your pair of tickets to the show and admission to the fair every 94 minutes this Tick Tock Thursday! Hey it’s Scotty McCreery—can’t wait for cool fall weather, the smell of fried food and seeing you this October at the North Carolina State fairgrounds—I do love saying NC State! The clock is ticking—your chance to win Thursday from QDR and only QDR! 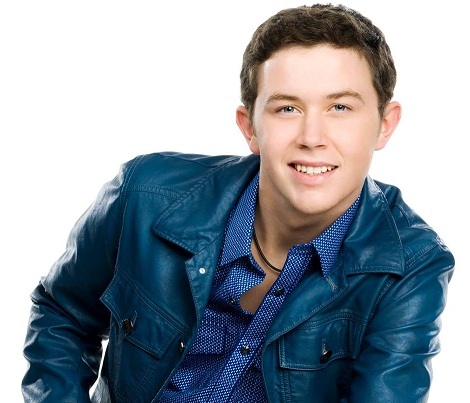 Garner native and "American Idol" winner Scotty McCreery will perform Sept. 18 during the Triple-A National Championship game at Durham Bulls Athletic Park, officials announced Tuesday. McCreery will throw out the ceremonial first pitch and will sing "Take Me Out to the Ballgame" during the seventh-inning stretch. The game will pit the champions of the Pacific Coast League and the International League against each other. Tickets, which start at $7, are on sale now through the Durham Bulls website. I found these wonderful pictures of Scotty on Idol Forum and thought I'd post them here for others to enjoy! 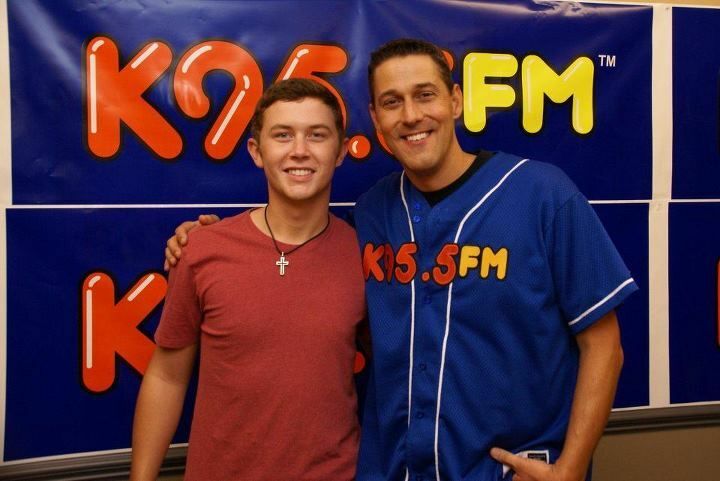 Scheduled to talk with @ScottyMcCreery this week to talk NC State, Jimmy V & The Opry. If it comes down as planned, should air Thursday! Scotty McCreery chips golf ball Jimmy V Credit to: Briedkins Scotty McCreery hits a golf ball - the embedded code is not active on this video so I hope you can view it by following the link I've posted. Heading off to the first hole to tee off for the @jimmyvgolf tournament! Great event, for an even greater cause! This is the request that Miranda has posted on her FaceBook . So, please honor her request, Thank you. August 16, 2012. Outside Winners & Losers. Please do not steal my photos. If you want to use them, please give me credit and let me know. 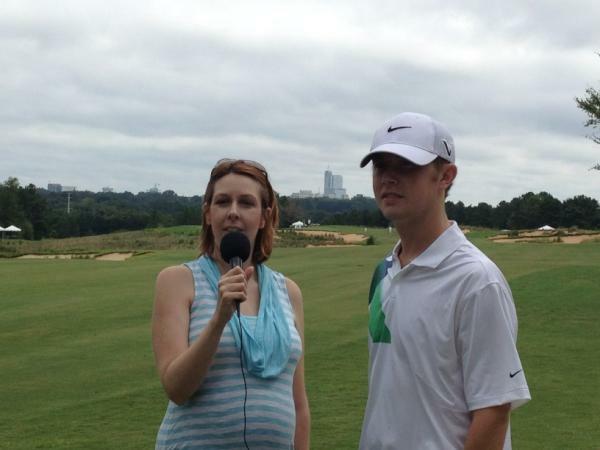 American Idol Scotty McCreery takes a break from Saturday's practice round for the Jimmy V Celebrity Golf Classic to chat with WRAL's Out and About. Scotty, Charles and Alfonso are in the house tonight! Everyone looks gorgeous! Order now and we'll deliver when available. We'll e-mail you with an estimated delivery date as soon as we have more information. Your account will only be charged when we ship the item. Judy Cooke McCreery ‏@JudyMacGarner @jimmyvgolf Good luck to my boyz @MikeMGarner @ScottyMcCreery playing this weekend in the Celebrity Golf Classic in Raleigh! The Jimmy V Celebrity Golf Classic is one of many events put on by the V Foundation to raise funds for cancer research, and takes place in honor of former NC State Wolfpack coach Jim Valvano. The 19th annual Jimmy V Celebrity Golf Classic tees off on Sunday, Aug. 26, at Lonnie Poole Golf Course, located on NC State University’s Centennial Campus in Raleigh, N.C. The event will once again bring together celebrities from all around the country to raise funds for cancer research through The V Foundation. 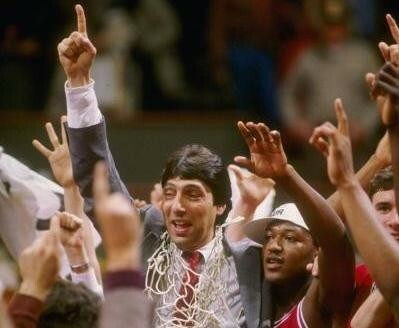 The V Foundation for Cancer Research, founded in 1993 by ESPN and the late Jim Valvano, legendary NC State basketball coach and ESPN commentator, has raised more than $120 million to fund cancer research grants nationwide. International and local stars in Raleigh The star-studded golf event, part of a four-day itinerary of fund raisers, brings many celebrities from the sport and entertainment worlds together. This year’s tournament field includes local and national personalities who will play alongside local donors and tournament participants while entertaining local fans. Those in attendance will have the opportunity to mingle with stars like local Garner resident, American Idol winner Scotty McCreery, NC State men’s basketball head coach Mark Gottfried, NC State women’s basketball head coach Kellie Harper, Carolina Hurricanes head coach Kirk Muller, NBA Hall of Famer Charles Barkley, and singer/songwriter Samantha Cole. Also making a return visit to the event is paralyzed trick shot artist Dennis Walters whose talents will be showcased on the driving range. In its previous 18 years, The Jimmy V Celebrity Golf Classic has raised more than $14 million to fund cancer research grants nationwide. With 35 celebrities playing alongside a full field of generous local golfers participating in this year’s fun and interactive event, the tournament will once again generate a significant amount of money to contribute to the V Foundation. Good Morning everyone! Just wanted to let you know that I've changed the way you post comments back to the way it use to be. I had changed it because with my current work schedule I am unable to check the site through out the day, as I have been able to do in the past. Then when I did check it there were always very negative comments and bickering between people in the comment section. I did not want to change it but thought it might help control the problems since I couldn't check it during the day, but it just made it difficult for everyone to post and we don't want people to have a problem. The only other solution to the "commenting" problems we are having on here is to not allow anyone to post at all. So, once again, I'm asking everyone to please think about what your posting before you posit it! 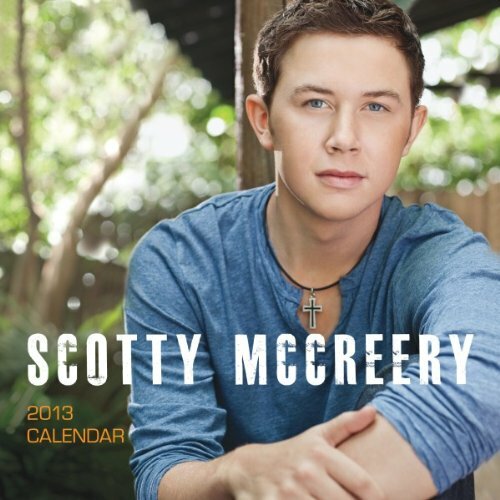 Have a great Friday and thanks for visiting the site and supporting our favorite NC singer Scotty!! This information was posted on another blog called American Idol Statistics and Numbers Blog and I thought I would post it here just in case some of you don't view that blog site. All credit for the information posted goes to Hugh who posted this on the blog site. Three Idol Winners Break 100K Barriers! This week was a good sales week for three separate American Idol winners, all who saw good sales increases, each remaining again in the BillBoard 200 and all breaking through a 100K barrier on their total sales. Again I will start off with Scotty McCreery's "Clear As Day" whose line color I have now changed to green since he keeps on earning more money for his label! His sales increased by 42% to sell 3,000 units for the week and take him to 1,103,000 in total sales. He made me increase the maximum on my total sales graph to 1.2M and also kept himself in the BillBoard 200, improving this week to #141. Not to be outdone was the original Idol winner, Kelly Clarkson, who saw her sales increase a whopping 81% to sell 10K this week and reach the 900K threshold in total sales. 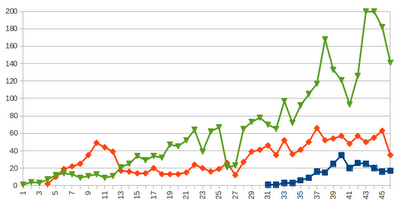 Her Billboard rank also improved, putting her at #35, a position she has not held for over a couple months. But the top selling Idol for the week is again Carrie Underwood's "Blown Away" with a 15% increase of 17K in sales, letting her pass the 700K threshold to land at 707K total sales and a #17 chart position after 16 weeks. I seen this tweet from Scotty and was a little curious as to what CruNCSu was - so I looked it up. It's a Campus Crusade for Christ at North Carolina State University! I've included the link to their website if anyone would want to read more about it! 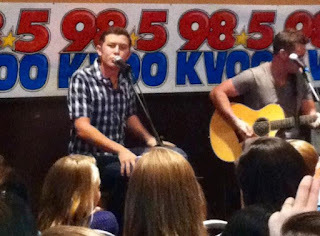 “American Idol” winner Scotty McCreery opened the show, and it became clear why this 18-year-old took home the prize. Polished, professional and powerful, McCreery sauntered into the audience and sang his heart out to the fans, showcasing his signature bass voice, while displaying his prowess with the guitar at the same time—and I became a convert instantly. Any thoughts of this kid being a “flash in the pan” were dispelled, and his future looks incredibly bright. At one point, McCreery paused and walked the runway into the audience. “I owe it all to you, New York!” he declared. “Thank you for voting me through to the end on ‘American Idol.’ Without your support, I wouldn’t be singing here tonight, in beautiful Bethel! Celebrate My Drive™ -- Scotty McCreery's Story! The 1st Annual "Mike Hammond" Concert for Charity starring Rodney Atkins, Scotty McCreery & The Lost Trailers! SAVE THE DATE for October 25th at The Valarium. Ticket info coming soon! Scotty McCreery in KJ Country! Credit for all the videos below goes to: JmReDP21 - his twitter name is: @JesseMPaine - if you have a twitter account be sure to tweet him and thank him for sharing these videos on YouTube for all of Scotty's fans to enjoy. I'm not sure what happened to this video - when Judy tweeted it earlier you could play it and when I posted it you could play it. Try clicking on the link below to see if it works that way. 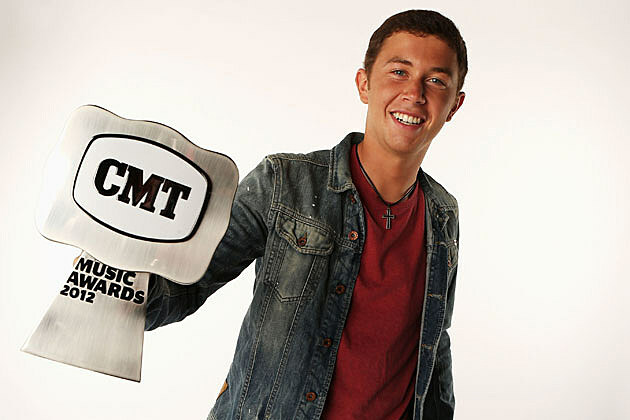 #CMTinsider talks to college freshman @ScottyMcCreery about what he WON’T be taking to campus! Catch this & more tomorrow (Sat) at 11a/10c. Hmmm this was tweeted about 4 hrs ago - first time I've seen anything about it! The SYTA Annual Conference is almost here! The SYTA Annual Conference is the premiere marketplace dedicated to the student/youth travel industry! SYTA brings tour operators and suppliers together to increase student/youth travel business for your company. The SYTA Annual Conference offers you: Educational Sessions aimed at increasing your knowledge of the student/youth travel market and its current trends; fun Social Events allowing you to network and converse with clients and peers; and the Business Trade Sessions/Appointments. These pre-scheduled appointments give you the opportunity to meet with nearly 200 tour operators and 600 suppliers for one-stop shopping for student/youth travel planning. These face-to-face opportunities, the most valuable offering at the SYTA Annual Conference, are sure to increase your student/youth travel business. Join SYTA today and SAVE! When you join SYTA and register for the Annual Conference, we will happily waive your initiation fee! You may register and pay online (choose the option for Membership + Conference Registration) or fill out the forms and send them in. The application must be completed and submitted in order to receive this promotional discount. At the conference, there are many ways to support the SYTA Youth Foundation - attend one of the events: Foundation Golf Classic, Running for Youth 5K Fun Run or Dance Your Meal Off! You can also bid on a Silent Auction item! Go to the Events tab for full descriptions of the events and a preview of the Silent Auction items! In my not-so-professional opinion, Scotty has what it takes to be a big name in this industry... some day. Right now, he's young! He has one album under his belt, and really barely over a year of country music "fame." He's spent the past few months opening up for Brad Paisley on his Virtual Reality Tour. Out of all the headliners Scotty could open for, I really think Brad is the perfect option. Brad has been around the tour circuit a time or two, and is basically an old pro at it now. He creates a bond with his whole tour that is unlike many other headliners. He has fun with them and lets them in to his inner circle. Even more so, Brad loves encouraging and "teaching" country's newest talents. From tweets and interviews (etc) that I've read of Brad, he sees a lot in Scotty and has really enjoyed having him on tour. I mean have any of you seen any of their back-and-forth prank war?? Absolutely hilarious! That stupid pink-poster-girl blocking my view made me so mad!!! In addition to his undeniable talent, his desire to truly learn from and study the sucess of the country greats who've come before him, another reason why I think he'll make it in the long run is that he is very normal and grounded. He has the love and support of two great parents who will help him along this journey. So many people come unraveled with fame because they get caught up in it. I truly believe being connected to a regular family and having seemingly "normal" parents helps (i.e. Taylor Swift). So far, it seems like Scotty really has no desire to do the whole Hollywood-famous thing. He just wants to be a normal kid who goes to school and hangs out with his friends, and yeah, on the side is a budding country music star. Normally when I go to shows, I enter all the songs they perform into my phone's notepad so I can share highlights with you all on my blog. Well, I was a tad bit excited to be seeing Scotty and kind of forgot the whole "blogger" part of my being there. Oops! He performed his upbeat fun songs from his album, "Write My Number on Your Hand, "You Make That Look Good," and "Better Than That" as well as his radio singles "I Love You This Big," "Trouble with Girls" and current single "Water Tower Town." All in all I was very impressed (as I expected to be) and it just made me THAT much more excited for his next album. Rumor has it that he is in the studio working on a Christmas album, so I'm interested in checking that out. Scotty has been more than open about his deep commitment to his Christian faith, so I imagine the album will include classic Christmas songs, but also some religious-centered ones as well. That's just my guess though! It will be interesting to see how he handles this next year as he finishes up his opening gig with Brad, and looks to start college at North Carolina State University in a few weeks. It's very well known that he wants to keep his life as "normal" as possible, but it's going to be interesting to see how he handles his increasing fame and popularity with college classes etc. I think he could definitely learn a thing or two from Taylor Swift who juggled the "exiting high school" years with increasing fame and success, and is still doing pretty dang well for herself. Regardless of how his career progresses, I will continue to be a fan of Scotty. As I said before, I'm not only a huge fan of his music (I LOVE THAT VOICE!!! ), I'm also a huge fan of him as an individual. His parents should be very proud of what a class-act young man they have raised and what a great example he is setting! That's all for now Twangers! More concert and album reviews to come! As well as another episode in Mentionable Music Mondays, and my first post of "Country Lite" suggestions! So make sure you've got Turn Up The Twang bookmarked! Oh and, if you're feeling generous, share this page with your friends! Facebook, Twitter, and Pinterest! And you can always e-mail me suggestions/comments/etc at turnupthetwang@gmail.com! Please do! I'd love your feedback!